This Retired pony Tewa Horse is a collector's item of which only 5000 pieces exist. This is one of the 12 ponies in size L. Made of solid resin! Height 23 cm. Supplied in original box with booklet. 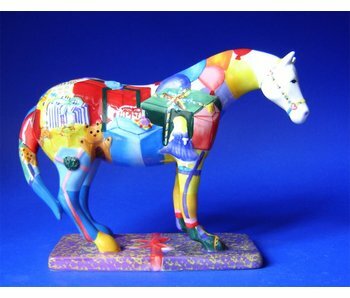 Collector item of the Trail of Painted Ponies on pedestal, made of ceramic. Each horse in this series has its own story. Height 15 cm. 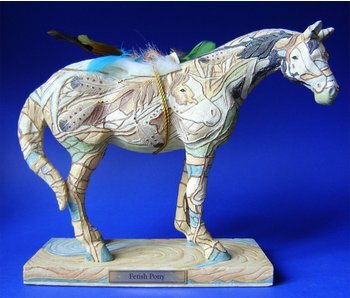 The 1st edition of this beautiful collector's item Thunder Horse, which was released in 2009 by the Trail of Painted Ponies and is no longer made. 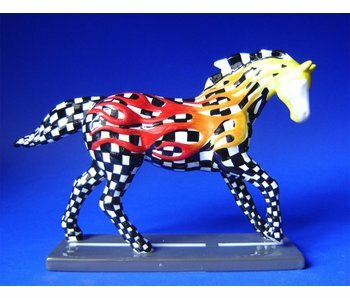 Horsepower to burn Trail of Painted Ponies, collectors item 2nd Edition. New in box. 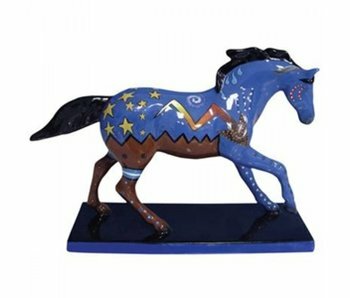 Dreamwalker, retired pony statue of the 1st Edition - Collectors item of the Trail of Painted Ponies. Artist : Ben Wright. New and in original box. Height approx. 16 cm.